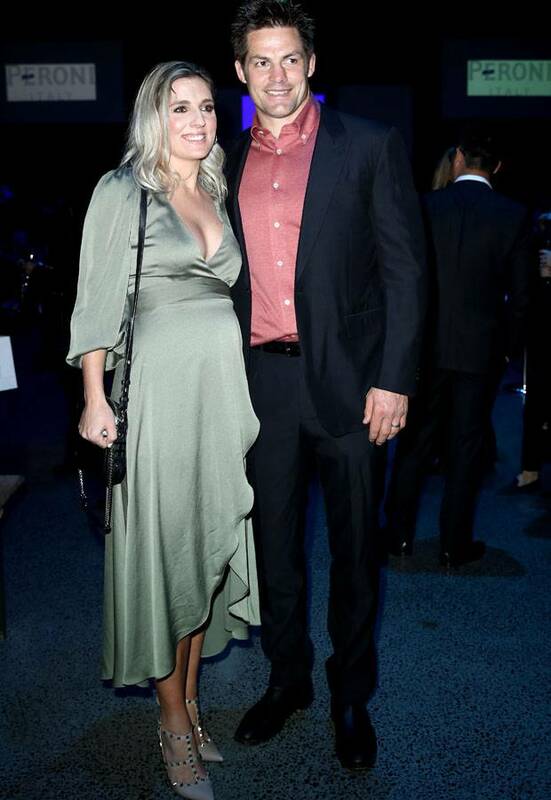 Gorgeous mumma-to-be Gemma McCaw has debuted her baby bump in a front row spot at New Zealand Fashion Week's opening show last night, showing that pregnancy really does suit her. Accompanied by hubby Richie McCaw, the pair were among 350 guests invited to a collection by Kiwi designer Turet Knuefermann. New Zealand found out the happy news about the McCaw's first baby last month when Gemma shared an image to Instagram of two pairs of sports shoes with a tiny pair in the centre.